The High Poly mesh file is over 4G. I will send the Ztool include Low poly mesh and cage to you. So it is sure something goes wrong. But If I just turn down 1 subdivision in zbrush and re-export the high poly mesh (about 9 million tris), everything goes right. I still can't download the ztool you sent. that host wants me to install some kind of download manager for files that large. Sorry for replying late. I re-send the ztool to you by gmail. 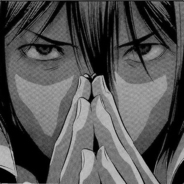 I think this time will be no problem. I wanted to request a scale mesh feature like in xNormal! It's really handy for saving time on exporting heavy meshes etc. when your bakes don't turn out correct due to scaling issues. Really loving Handplane at the moment, great stuff. 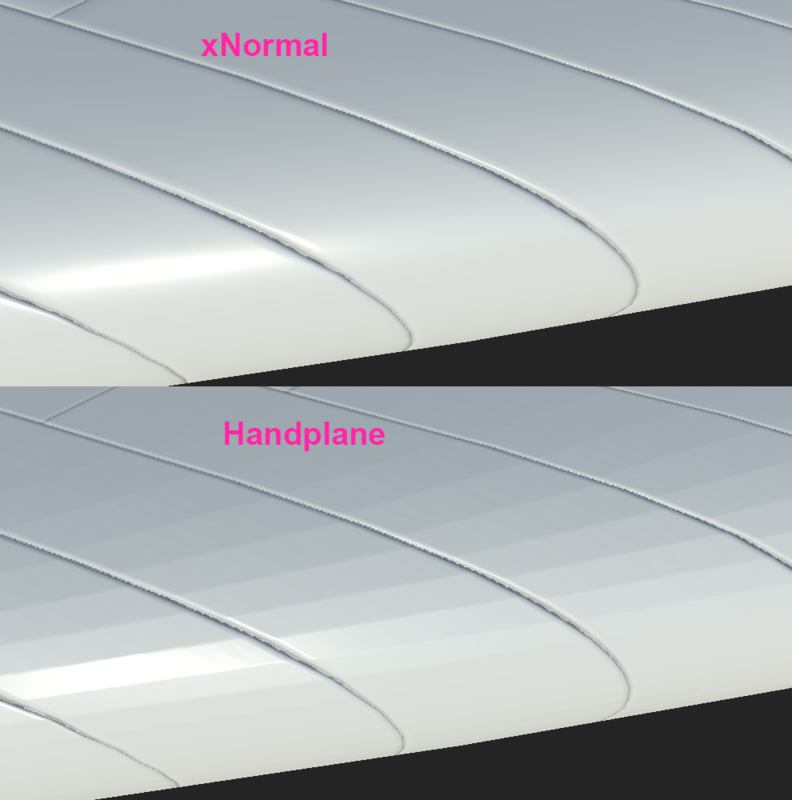 I'd just like to second the request for a mesh scaling feature like xNormal's, unless I don't fully understand the ray offset and that serves the same function to alleviate scale based artefacting? And it'd be really nice to have a way to discard backface rays like xNormal for when you have decimated mesh from zbrush and it's done some horrific thing with the topology meaning inside out triangles etc. Trying to be nice on the internet since the 90's. 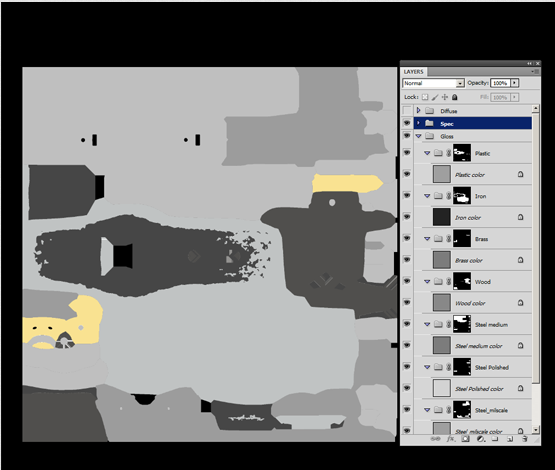 I've been trying to use handplane to bake maps but Ive run into a few annoying issues. These are probably due to my workflow and they might not be because of handplane itself. All meshes are exported with the same settings and I've checked to make sure that there are not any weird ngons or floating polys. I don't currently have any deformers active but I've tried to turn that option off and I've tried to delete the morph maps but neither make a difference. If I export the meshes as FBX files they work but literally take 2000+ seconds to load, I started the bake and went to eat and when I got back it was rendered. Does anyone know how to properly export the OBJ files using modo or is there anything else I can do? Second problem seems to have been the UV map on the highpoly meshes, I deleted the UVs and it seems to be working now. 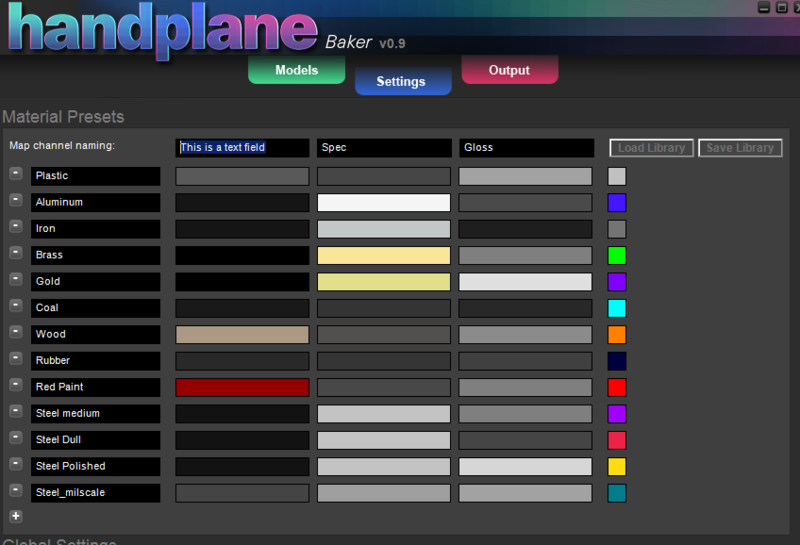 I'm currently testing out Handplane 3D 1.6 as a normal map translator. My stuff is baked in Xnormal and the normal maps are used in Unity 3D. However, I'd like to be able to see my model with normal map in the 3DS max view port. So far, things baking in max look perfect in max. 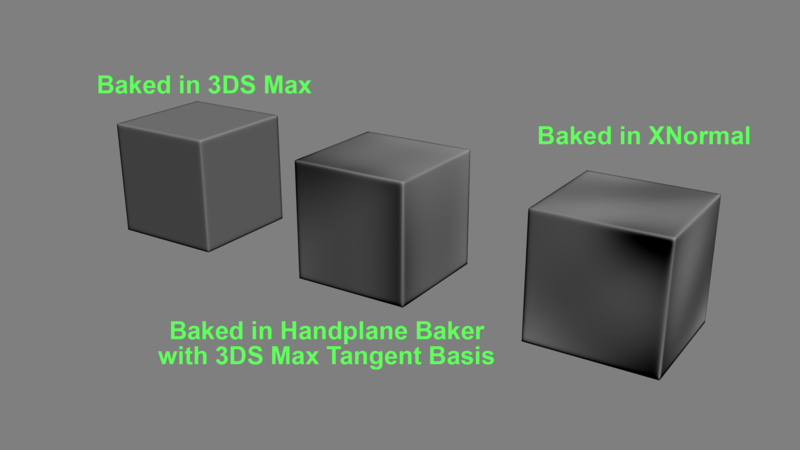 As expected, Xnormal's bake is incompatible with 3DS Max's view port as they calculate Tangents differently. However, Handplane's conversion is not perfect either. 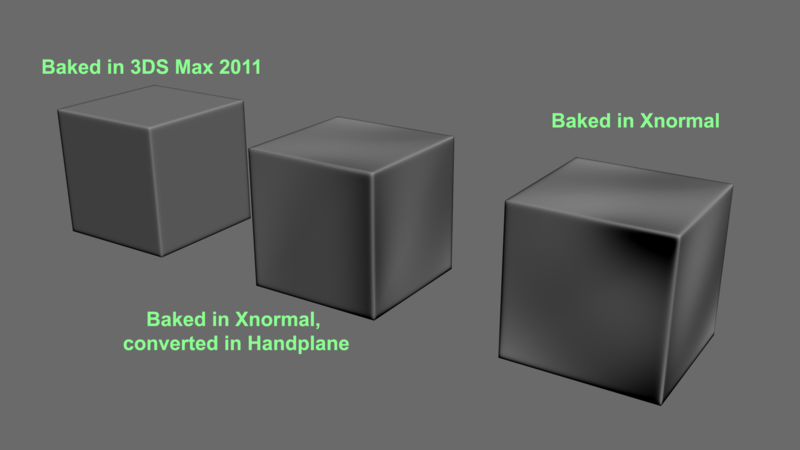 I baked the normal map in Xnormal using 16bit Tif object space normal map and converted it to 3DS Max using Handplane 1.6. I also tried using Handplane Baker and switched the Tangent Basis to 3DS max. I'm still getting an imperfect bake. The exported obj files have their normals exported and mesh triangulated. It's the same result with fbx file format. Could it be my version of 3DS Max? By the way, I'm getting the "Not fully triangulated" warning when using obj files even thou I have triangles as faces in my export setting. This does not happen for FBX thou. Is this normal? Never got around to thanking you guys before. 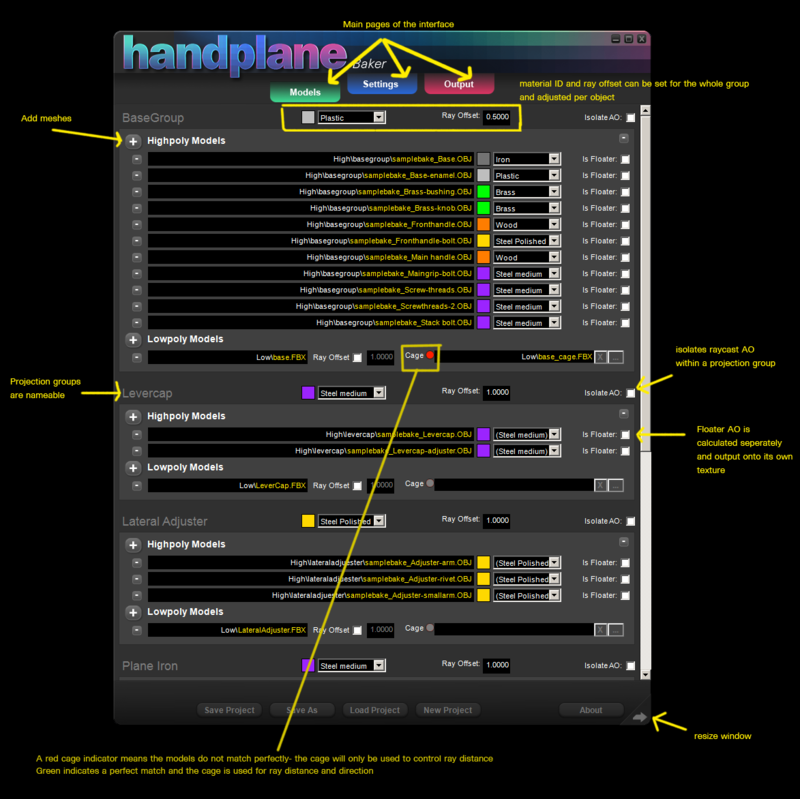 Been using handplane instead of xnormal for a long while now. 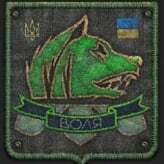 Amazing program. Best baker I've ever used. Easy, quick to setup and extremely fast. I usually use a "batch" workflow when baking complex things because I really dislike exploding stuff or baking multiple times. So what I do is that I export a few batches from 3ds max. 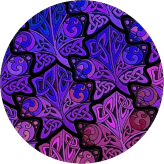 "batch_01_lp" , "batch_02_lp" etc. 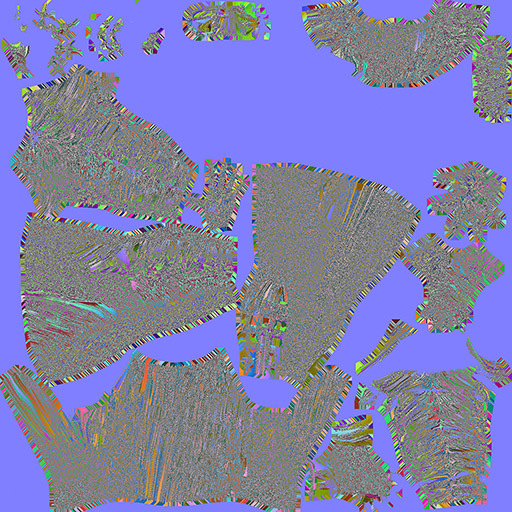 Every batch contains meshes of the LP that doesnt intersect. In xnormal I used to have to offset every batch but this is SO easy to do with the projection groups in handplane. Any ideas how I can improve my AO bakes in handplane? I'm also having trouble with normals in Hardplane. I'm getting some kind of banding that I don't much understand when compared to xNormal. Hey guys, great software. I have been using it for months and it's worked like a dream! 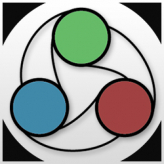 - Assign random colors to each object for Mat ID. Basically, I tend to bake out meshes with a lot of broken out parts and having a way to have each part its own Mat ID would be helpful with texturing. 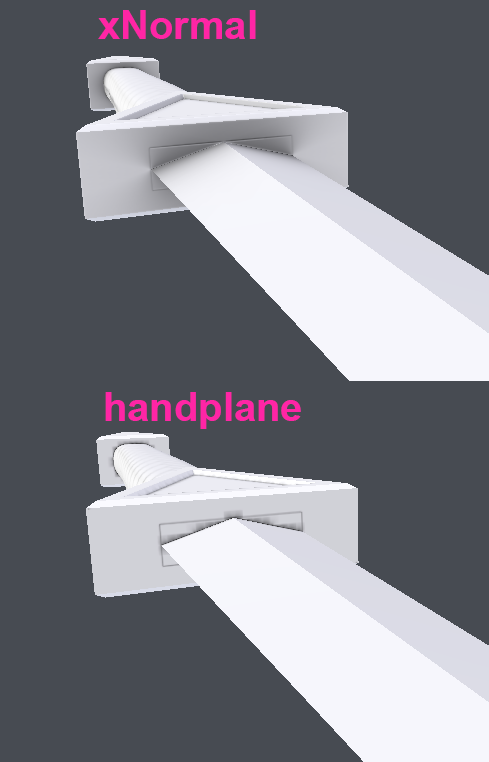 Is there a way to import a file with multiple objects into Handplane and have them appear as separate objects in the bake setup? 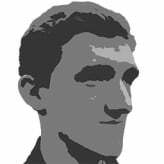 All I can find in this thread is mentions from years ago that it's a feature the authors are looking into. I also second the idea above to automatically assign random colors for Mat IDs. I just need something to make selections with. Using Version 0_9_4. Getting frequent fatal access violations RayTri.dll. Have not test extensively but seems to occur on curvature and tsao bakes. Error message states crash dump report saved to HP directory but I see no such log. Any advise would be appreciated.